When I was growing up my mother listened to a wide variety of music, the bulk of which, I would classify as pop. My step-father’s vinyl collection was an impressive blend of classic and progressive rock to which I am fortunate to have been exposed. 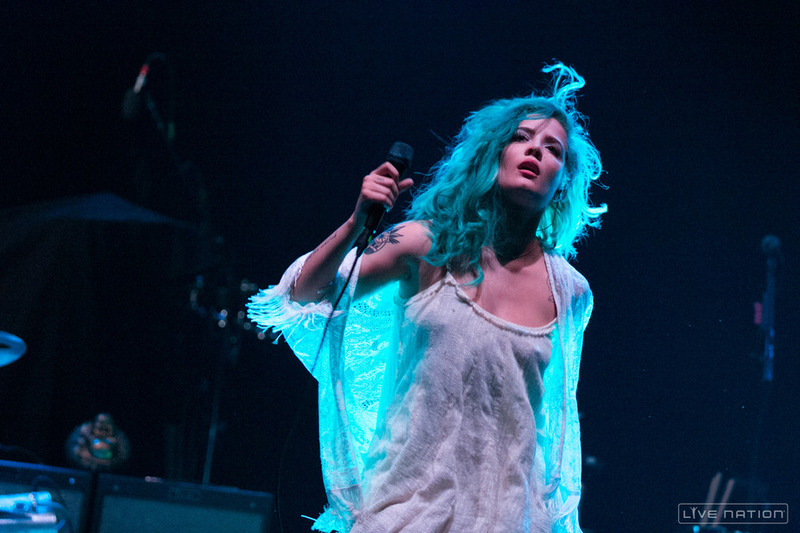 Halsey has stated that her father raised her on Notrious B.I.G., Slick Rick and 2Pac, her mother’s input was Nirvana, The Cure, The Cranberries and Alanis Morissette. Contemplating all of this, I am struck by the absurdity of the musical influences we grow up with and how they impact our taste in music – if I had become a musician perhaps I may have created some strange hybrid sound where The Bangles met King Crimson, toss in a little of what I loved as a teenager and the whole experiment would have spawned an ugly alt-rock-punk baby – who is to say this would not work for some listeners? Halsey’s influences, on the other hand, are almost tailor-made for a young new artist to work her magic and give us something we haven’t entirely heard before. Who is this 20 year old girl with a punky style and an indie pop sound? Ashley Nicolette Frangipane began playing violin and cello before moving on to acoustic guitar as a teenager; she has stated in an interview for Vevo that she settled on the stage name “Halsey” because it is an anagram that plays off of her name and a street she fondly remembers in Brooklyn. Impressively, she was invited to open for Imagine Dragons this year during the North American leg of the band’s Smoke and Mirrors tour. Halsey is a talented musician and vocalist who is on the cusp of releasing her first full length album, Badlands, which she has described as an “angry feminist record” in an article that was published in Teen Vogue earlier this year. The first song to catch my attention was Hurricane, in a fashion very similar to Alessia Cara’s excellent release Here – Hurricane caught my ear due to a clear parallel I could draw to the Trip Hop sound I loved in the 90’s – which makes sense given Halsey’s admission that her dad raised her on hip hop while her mom exposed her to alt rock. On the track Ghost, another early release from Badlands, Halsey’s influences from vocalists such as Alanis Morisette and Dolores O’Riordan are clearly heard, while on Hold Me Down hip hop influences creep back in with the up tempo and beat. New Americana is my top choice, a track that hints of Lana Del Rey, but with a refreshing twist. In this track, Halsey reminds us of the greats who made the 90’s the iconic and diverse period in music history that it is; “We are the New Americana… raised on Biggie and Nirvana”. So what makes Halsey required audio? Whenever an artist lists such uniquely diverse influences – and can provide the music to back that up – something uniquely awesome is bound to result. Previous Foxes and Diamonds and Kings – oh my!